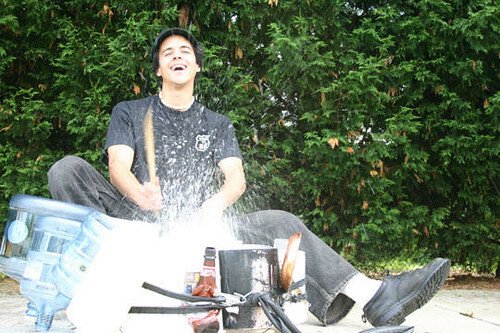 Top 10 Bucket Drummers of the United States - Bucket Drumming at its Best. Here is my list of top 10 bucket drummers in no particular order and where you can see them in action. 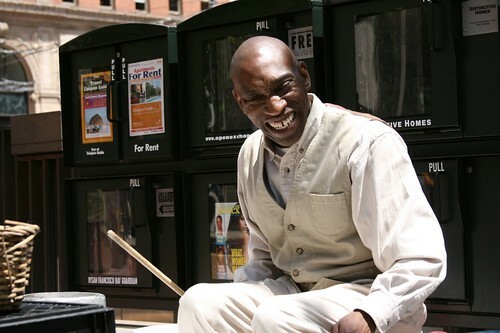 Larry Wright born c. 1975 is a well-known New York City busker.He's credited as the first major drummer to use five gallon plastic buckets instead of a normal drum kit. 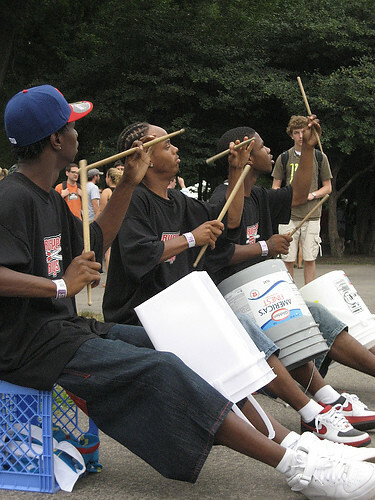 One of his drum techniques is that he uses his foot to lift the bucket changing the sound patterns.He has appeared in commercials, Mariah Carey's "Some Day" video, as well as the movie Green Card. Jermaine Carter has played buckets in Boston, Ma ever since I can remember. He has also played in Baltimore, Philly, New York. 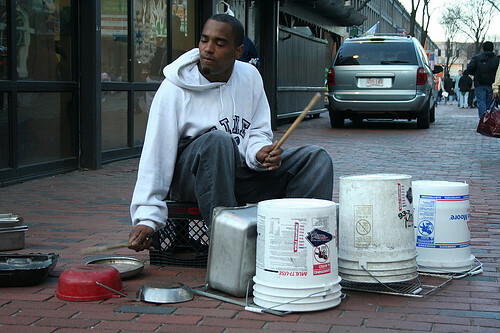 His sound of tribal rhythms resonate through Downtown Crossing, he is a 26-year-old from Dorchester with a face like Sammy Davis Jr. People that are interested in bucket drumming should take some drum lessons from this guy. He is the man. He travels all over the place. Beating the drums and having a good time. 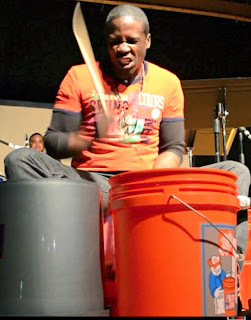 Ray King has been a drummer all his life. This Bronx, New York native started making music in church. 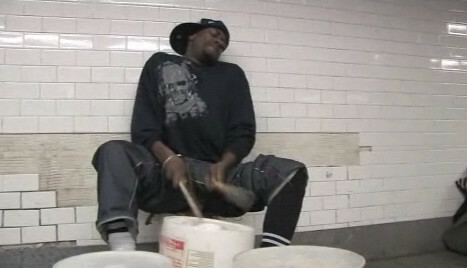 About 10 years ago, he began "bucket & random object drumming" in Times Square with some friends. Now he can be seen playing regularly in New York City Subway system, parties, with bands, opening shows and on the street. 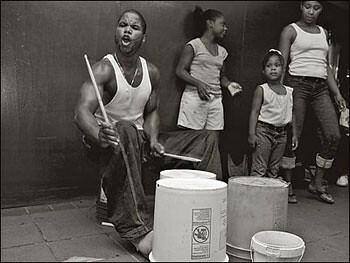 Ray also showcased his unique drumming abilities at New York City's Joseph Papp Theater, in "Bring in da Noise, Bring in da Funk". Ray enjoys playing in public for the practice and the advertisement. His influences are Buddy Rich, Dave Reku, Max Roach, Jared Crawford, & Larry Wright. Larry "Bucketman" Hunt is a contemporary landmark of the city of San Francisco. His music sets the rhythm of the city and his smile lifts the mood of many people who happen to attend his public performances throughout San Francisco. The past years he has been giving performances solo and with his band "New Funk Generation" which is an interesting combination of Jazz and Funk, putting the "fun" back to Funk.